I deactivated the husarion cloud using: systemctl disable husarion-shield. But in my opinion I don’t have a service called like this. 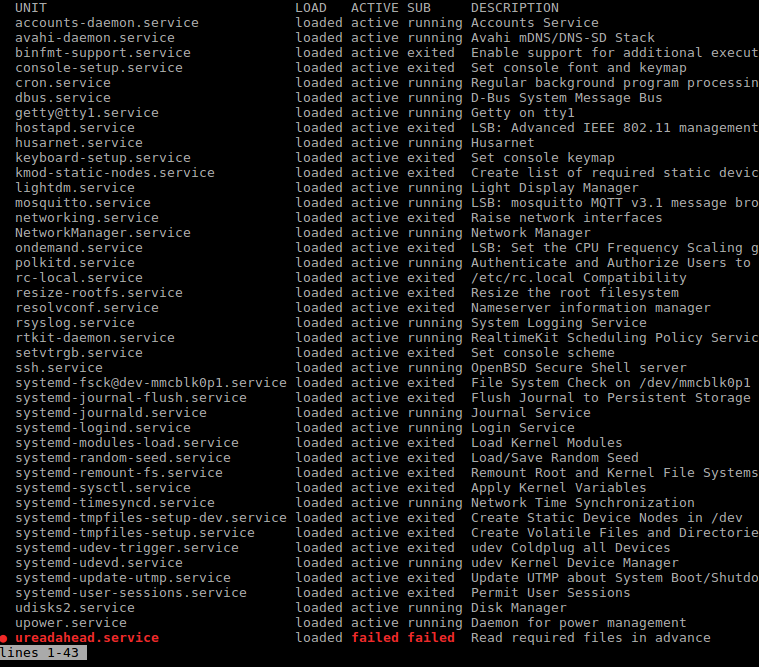 Anyway after rebooting I still see /dev/tyyCORE2 in the list. It’s not dissappearing like it should be. And I still see my husarion in the cloud that it is online. Sadly it’s returning immediately some errors as shown below. I think it is because the CORE2 is still trying to access the same port as ttyS1 is doing. How can I fix this? To my setup: I’m publishing twist messages on the /cmd_vel topic which the bridge shall receive and set the speed. I’m using a Rosbot 2.0 with a tinkerboard. On new image version there is process named husarnet-configurator that manages the serial port. Reboot after this command and system will not be connecting to /dev/ttyCORE2 device. Awesome. Thanks a lot. That solved the issue. I would like to reopen this issue. By now the only way to get the bridge running is to restart the husarion several times. That’s super annoying. Is there any way to get the reason for this error? Any help is appreciated @lukasz.mitka. I’ve just updated the whole husarion this morning. So I’ll post your asked information from overthere here as well. I’m using the VSC plugin and husarion isn’t connected to the husarion cloud. PWR Led lights red. All other Leds aren’t lighting or blinking at all. I’ve activated the cloud again and flashed my main.cpp another time with the adjusted code. We already investigated problem and we are working on solve it. Fix update will be release as soon as it possible. After that reboot your device and everything should works fine.